It’s truly amazing how politics can stifle efforts to plug the bleeding U.S. economy. To the surprise of many, the much anticipated approval of the $700B Emergency Economic Stabilization Act of 2008 didn’t happen. An agreement was not reached contrary to the much publicized forecasts made by both political parties over the weekend. Each of them wants to prevent the other from taking credit for this bold move to prevent a meltdown of the U.S.financial markets. With the presidential elections just around the corner, this is politics at play! Both the Democrats and the Republicans know that a bail-out is necessary. The country has been bleeding for along time now from the bubble burst effect triggered by the mortgage industry subprime crisis. A government intervention in the form of a bail out is long overdue. The situation has placed the Democrats and Republicans alike in a classic “damn if you do and damn if you don’t” type of a situation. Could it be that the Republicans really waited this long before solving the crisis so they can use the issue as a political propaganda to boost the sagging popularity of their candidate? Could it be that the Democrats intentionally remained passive about the issue since the Mortgage Industry’s “bubble burst” happened earlier on so they can pin the blame on the Republicans and wrest control of the white house? We may never really know. What I do know is that both parties are aware of the fact that something must be done to correct the country’s financial woes immediately, because if nothing is done right now it will send the U.S. economy into a tailspin which will send the country and the the rest of the whole world into a long drawn recession. I believe the Democrats realize too that such a scenario will not be to their advantage even if they wrest control of the white house by November because by then the job of reviving the economy will be a herculean job and their white house residency may be short lived if they fall short of expectations. I am sure by now both parties are trying to map out their own strategies to resolve the impasse. I even believe a solution will be had before the week ends. Each of them just want to make sure that the other will not unduly gain politically from the passage of EESA 2008. 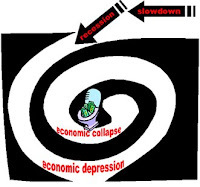 Already the stock market made the steepest dive since the last depression! Further delays may cause long lasting damage to the U.S. economy and ultimately the rest of the world. The following is the summary of U.S. financial bailout bill draft, which will authorize the U.S. government the largest financial intervention since the Great Depression. The Emergency Economic Stabilization Act of 2008 (EESA) provides up to 700 billion dollars to the Secretary of the Treasury to buy mortgages and other assets that are clogging the balance sheets of financial institutions and making it difficult for working families, small businesses, and other companies to access credit, which is vital to a strong and stable economy. EESA also establishes a program that would allow companies to insure their troubled assets. EESA requires the Treasury to modify troubled loans many the result of predatory lending practices wherever possible to help American families keep their homes. It also directs other federal agencies to modify loans that they own or control. Finally, it improves the HOPE for Homeowners program by expanding eligibility and increasing the tools available to the Department of Housing and Urban Development to help more families keep their homes. Taxpayers should not be expected to pay for Wall Street’s mistakes. The legislation requires companies that sell some of their bad assets to the government to provide warrants so that taxpayers will benefit from any future growth these companies may experience as a result of participation in this program. The legislation also requires the President to submit legislation that would cover any losses to taxpayers resulting from this program by charging a small, broad-based fee on all financial institutions. Rather than giving the Treasury all the funds at once, the legislation gives the Treasury 250 billion dollars immediately, then requires the President to certify that additional funds are needed (100 billion dollars, then 350 billion dollars subject to Congressional disapproval). The Treasury must report on the use of the funds and the progress in addressing the crisis. EESA also establishes an Oversight Board so that the Treasury cannot act in an arbitrary manner. It also establishes a special inspector general to protect against waste, fraud and abuse. 1. Thou must first know thy self and thy market well. Trading stocks, currencies gold, or commodity futures, or any other securities(fast moving markets) via the internet can be terribly taxing! Before you decide to plunge into it you must know offhand if you are ready to lose a lot of good night sleep for just monitoring the markets; or if you have the stomach to take frequent roller coaster rides during peak market activities (like watching your investment tremendously grow within seconds just to see it melt down in the next)! You must know first if you have the discipline to be able to maintain your cool during wild and wide price swings and still be able to call the shots objectively according to your pre-determined trading objectives. This means you should not to let fear overshadow you when the market moves against your position, nor allow greed to take the better of you when the market is in your favor. Remember always that markets are frequently unpredictable and that you must learn to adapt to its peculiarities fast otherwise it will eat you up alive. 2. Thou must deal only with registered brokers. For non-US based brokers, you must demand verifiable documentations from the broker regarding their affiliations and representations. Some online brokers are merely introducing brokers (IB), meaning they act as marketing representatives for a bigger broker, in which case you must demand to see the IB contracts and investigate the affiliation of the principal broker. Other brokers “white label” for their principals. Their websites may appear and have the looks of a big broker when in fact they are mere affiliates of other brokers. Don’t deal with white labelers if they don’t publish their principals. White labelers make money through an additional spread of a pip or two built in into their price quotes. While I don’t have anything against white labelers who are affiliated with established brokers of good standings, I would advise you to avoid them unless they have incorporated more add-on features or services other than those offered by their principals to justify the additional cost to you. Big Daddy’s suggestion that you deal only with registered brokers is not being biased against overseas brokers. It’s just that online investors must always be provided with a forum or a venue to file any claims they may have against their online brokers in the future. And at this point in time,only U.S. based brokers can provide us with this safety net. 3. 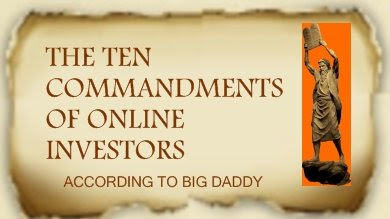 Thou shall shall not invest money you can not afford to lose! One of the major pre-placement considerations an investor must make is determining the amount of capital he will be using. There is not set rule for this. In fact, everything is left to the discretion of the investor. However, one must understand that every investment involves a certain amount of risk. Placing an investment (online or otherwise) is in reality a form of risk-taking with the hope that the placement will generate a certain amount of profit after a while. However, the presence of the entailing risks also tells us that there is a possibility of losses. In fact, in fast moving markets the likelihood of losing all of your investment is all too real. This is the very reason why you must not invest more than your ‘risk capital’. Risk capital is that part of your liquid assets or your wealth which if lost will not affect your lifestyle or your family’s way of life. Never ever invest money meant for your your family’s daily subsistence. Doing so will make an emotional wreck out of you. You will turn out to be an emotional trader; setting aside fundamentals; trading out of fear of losing the money on which you and your family depends on; holding on too long to losing positions hoping the market will finally turn into his favor. Once you become emotional trader you start trading on false hopes which ultimately lead you to disaster and the total loss of your investment. 4. Thou shall not use unprotected computers! Never use computers, whether at an airport, library or an office when accessing your financial accounts or records. Make sure you only enter confidential information on websites with the “locked padlock” icon in the browser frames (must have https at the beginning of the web address) Avoid using public wi-fi facilities in accessing your account or executing your online trades. Hackers are everywhere nowadays. It is advisable to do your online transactions only at the comforts and confidentiality of your abode. Turn off and unplug the computer you are using for trading when you are not on trade. 5. Thou shall not trade without a plan! All these trading decision parameters must be clearly defined and set before executing any trade. Never attempt to trade fast moving markets online in the same manner and with the same do or die spirit as in p lacing bets on online gambling sites. Every trading decision must be based on a trading plan and every trading plan must be followed to the letter. 6. Thou shall not execute orders without trading stops! Every trading plan must incorporate trading stops which shall act as a safety nets to limit your losses in case the market moves unfavorably against your established positions. There is no set or fast rule for creating your stops. However, in establishing your initial position you need to set your initial stop with a wider range – taking into account the highs and lows of the trading range established for the day, the proximity of your entry price to historical turn points (chart supports and resistance levels), and your tolerance level as dictated by your initial equity. (Make it a point that your initial stop must not be beyond the price level where it will eat up more than 20% of your equity). When the market starts to move in your favor, adjust your initial stop turning it into a trailing stop in the direction of the price movement. You must adjust your trailing stops tighter and tighter (closer to the spot price) as prices approach historical turn points or significant technical price levels (such as those established using the Fibonacci theory). Stops are vital to your becoming a disciplined investor. 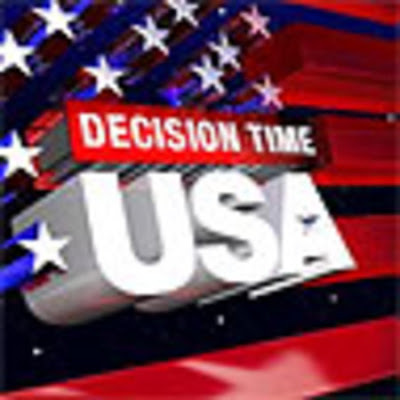 They help you decide without hesitation when to cut a losing or winning trade. They prevent you from becoming an emotional trader and a perpetual loser. But most important of all,trading stops limit your actual loses. I have seen people lose all their investments in one single session because they adamantly held on to losing positions in the hope that the price will soon make a turn-around. I have also seen people who have reached their profit objectives but out of greed, held on to their positions. And when the market whipsawed they ended up losing everything. 7. THOU SHALL NOT TRADE ON MARGINS BEYOND 250:1 RATIO. One of the main attractions of trading on line is the fact that most brokerage houses offer trading opportunities on margin basis (where you are allowed to put up only a fraction of the cost of the contracts you are buying or selling). This ratio may vary from broker to broker. While this is an advantage to the investors since it allows them to maximize the returns on their investments, it can also work against them because high margin ratios can also wipe out their equity fast in very volatile markets. For the more experienced traders who are incorporating strict money management strategies into their trading plans, the margin ratio may be a non-issue. However, for the ‘newbies’, trading with a lower margin ratio (between 50:1 and 250:1 ratio) will keep them in on volatile markets and allow them ample time to react to rapid price changes in the market place. At the same time, the lower margin ratios allow investors to avoid margin calls because it provides them elbow room to make the necessary adjustments on their positions (like temporarily freezing their positions by executing an opposite trade) thus temporarily avoiding actualizing losses. Investors must remember that brokers are not required to issue margin calls when an account falls below the required maintenance margins. They can just go ahead and cut your positions at a loss. Investors need to read, remember, and understand the fine lines in the brokers’ agreement regarding margins and margin calls. 8. THOU MUST ‘DEMO’ TRADE FIRST BEFORE ACTUAL TRADING. Most online brokers offer demo trading on their sites which allows you to open demo accounts and trade live markets using only virtual money. This is a good chance for you to hone up your trading skills in real live market situations without risking your own money. You may do demo trades for as long as necessary (although some online brokers allow you only a maximum of 30 days to use their platform). Never open a real account unless you already feel comfortable with yourself, your trading plan, the broker’s trading platform, and the volatility of the market you are trading. If you are not yet satisfied with the outcome of your initial demo account, then go ahead and request for an extension of the demo account or, better still, open other demo accounts with other online brokers. Do not forget that trading volatile markets requires a large amount of self-restraint and discipline so never rush to a decision at all times. 9. THOU MUST KEEP YOURSELF WELL INFORMED AT ALL TIMES. You must update yourself with everything that is going on in the financial marketplace. The internet has plenty of sources for real-time financial news updates, commentaries, and forecasts and projections. You must find time to go through the more important items which are relevant to the market you are trading. Do not look only or limit your search to information favoring your current position in the market. You must also be sensitive to contrary news, opinions, and forecasts. Use favorable factual data and information as your basis for initiating your trades. On the other hand, use any contradicting information, opinion or forecast as your basis for setting your trading stops (whether they should be tighter or wider). Subscribe to newsletters from as many online brokers as are available. Most important of all, you must sharpen your skills at digesting all of the available information you happen to go through and be able to create an informed and calculated trading decision from the same as fast as the need arises. 10. THOU MUST ALWAYS INSURE AN UNINTERUPTED COMMUNICATIONS WITH YOUR BROKER. Online investments depend a lot on your uninterrupted internet connections with your broker. Your trading could be adversely affected if for example your internet connection is down at the time the market makes a major move. You can lose a big opportunity to cash in on that market movement, or lose an opportunity to cut your loss if you happen to be on the other side of that market movement. There may also be instances where even the broker’s system breaks down due to heavy traffic, or computer glitches, or other natural calamities which may prevent orders from being filled. The online investors must be prepared for such contingencies. They must be familiar with the broker’s alternative options in case they cannot access their accounts online. And this should include automated telephone trading, fax orders, and direct phone dealing arrangements. All these alternative trading options must be arranged with your brokers prior to instituting your initial trades. Filipinos in general couldn’t careless as to who will win the upcoming U.S. presidential elections. Most of them are too pre-occupied with their day-to-day struggle for survival to even bother about it. Besides, there’s nothing much anyone here can do for any favored candidates if ever they have any. However, immediately after campaign started in the U.S., there was one section of the Philippine business community that went abuzz with some election rumors which somehow found its way to the country. Word quickly got around the business community here that Obama will close all call center operations outside the U.S. Obama is not in favor of outsourcing call center services and would want these jobs offered to Americans and confined to the U.S. only. According to the spreading rumor, an Obama win is bad news for local call center companies here. Call center companies are actually making very significant contributions to the Philippine economy. Not only do they provide easy-to-land employment opportunities to the ever growing local work force here, they have also triggered significant adjustments in salaries and wages of white collar workers. Before the proliferation of call center outfits in the Philippines, local companies feasted on hiring underpaid, over qualified workers who were left with no choice but to accept whatever employment opportunity that comes around their way. Now, these local employers need to adjust wages to compete with job offers made by call center companies to the great benefit of the local workforce. 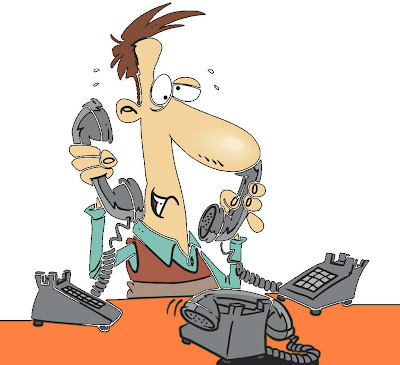 If the rumors are true and if Obama does win the elections in November, it will be goodbye time for the call center companies and hello once again to low wages and widespread unemployment. However, a McCain win will be a welcome relief and will mean a continuance of the call center contribution to the local economy. ONLINE INVESTING – DON’T JUST TAKE THE PLUNGE! Investing online is a matter of choice and of convenience. Newbies who had always wanted to test their hands at handling their own investments are often the ones who are easily attracted to online investing (individuals who have suddenly acquired some excess capital from a booming start-up business undertaking, or a blooming professional career). These people find online investing to be a “perfect fit” for their “dreamed fantasy”. Well, why not? Not only does online investing allow them to manage their own investments in the comforts and confidentiality of their own abodes, it is also quick and easy (so it seems) to learn! With their first click on the mouse, newbies immediately experience an exhilarating transformation into their fancied and fantasized role of real stock/forex traders in that very instant; executing orders at will while experiencing the thrill of pitting their own raw trading skills against seasoned money/stock traders online. With hundreds of sites offering free tutorial services, seminars, and e-books, plus a free live demo account to boot, online forex/stock trading is really catching fire with this lot! But, alas, these “George Soros Wannabes” should not fool themselves into believing that online investing (especially forex with its sometimes wild and wide price fluctuations) will be like “pink and roses” all the time. Investing on line should be treated no differently from traditional approaches to making investment considerations. An extensive, pre-placement Due Diligence work on the chosen online broker must first be done and should be a major factor to consider before deciding to take the plunge! Knowledge of the intricacies of the stock and foreign exchange markets is also vital and must be had before any actual placement is made. And most important of all, these “wannabes” need to do some honest soul searching first to find out if they have the patience and the guts and the temerity to deal with fast moving markets. Are you prepared to give a sizeable part of your hard earned savings to a stranger whom you just met on the streets? Surely, your answer here is no! Well, investing through an online broker is, in all respects similar to giving away your money to a total stranger. When you open an account with an internet-based money broker or a stock broker, you will actually be dealing with a faceless entity which can simply vanish sometime after you put in your money with them. In choosing online brokers, all matters of consideration and the few choices you will be making will often be based solely on information provided by their web sites. Usually, choices made here by start-up traders are based on their initial impressions of the website itself. Newbies are often attracted easily to beautifully designed, easy to navigate sites. Others are attracted by perky add-on services such as real time news feeds, free training, readily available expert advice, managed account services, user friendly trading platforms and the like. But hell, all these are also offered and provided free by fake online brokers and scammers! In fact, some of their sites are more professionally designed than those of the legitimate brokers making it harder for us to discern who is who in the industry. Brokers by definition are intermediaries. This means that they are (without reservation or exception) affiliated with, or officially represent certain market players. 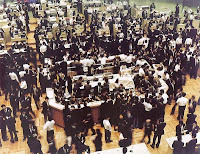 The market players in turn are those who are actually involved with the buying and selling of stocks in an exchange and are registered members thereof (in case of the stock market); and, (in case of foreign currency trading) the electronically-linked network consisting of large banking institutions (who are the traditional money traders), multi-national corporations and giant insurance companies (who need to move money globally), central banks (who need to defend the purchasing power of their own currencies and finance international trades), and large investment houses (who handles the investment portfolios of large clients). For this discussion, brokers referred to here are the retail brokers. These are the brokers who act as agents of and execute orders through the market players they are affiliated with. Retail brokers are mere brokers (intermediaries) and not market players simply because they neither have the sufficient volume nor the required capital to directly trade in the stock markets or in the spot currency markets. We can therefore easily identify the legitimate retail brokers through their official affiliation with established market players. Further, we can easily tag as ‘suspects’ the internet based retail brokers who do not publish or declare their verifiable affiliations with established principals. These retail brokers therefore, must be subjected to more rigid background investigations, and submitted to a more extensive due diligence work. All the three credit reporting agencies (Equifax, Experian, and Transunion) have been swamped with “Fraud Alert Calls lately after clients of the largest home mortgage company in the U.S., the Countrywide Home Mortgage Loans informed their clients by snail mail that their confidential personal data may have been compromised. It seems one of Countrywide’s employees who have access to the company’s confidential files, stole all information about its clients and sold it to a still undidentified third party. Included in the stolen information are sensitive information such as Social Security numbers, credit card numbers and expiry dates, birthdays and other pertinent information vital to any credit transaction. While the matter is still being investigated, Countrywide advised its clients to immediately inform any one or all the three credit reporting agencies to tag their accounts with a Fraud Alert. This is a free service provided by the credit reporting agencies to anyone who wishes to avail of it. The initial tag will stay for 90 days with an option for the client to extend it for the next seven years. Simply put, the fraud alert is a notice attached to the client’s credit files. What it does is it informs creditors that the account may have been compromised and may possibly be used by identity thieves. So every time a client whose credit file has been tagged with a fraud alert avails of a credit facility like using a credit card or opening a new one or applying for any form of loan, the creditor is immediately informed of the delicate situation. Extra care is taken by the creditor who has the option to require the client for other proofs of identity. In the store front, if you swipe a credit card with a fraud alert tag, you will be required to produce other supplementary ID’s more than what is normally asked for. It is a preventive measure to avoid identity theft but may also cause some delay in credit processing. But hey, this is definitely better than having your card or your credit facility be used by thieves! If you are one of Countrywide’s clients, you better make the call now! Countrywide Financial to which the Countrywide Home Mortgage is affiliated with, is a large conglomerate. They are into home mortgage loans, banking services, and insurance. We are not exactly sure whether the stolen information is limited only to clients of of Home Mortgage. There is a distinct possibility the guy may have hacked the whole caboodle of confidential information from the conglomerate. Besides, the fraud alert service is free! PLAIN GREED OR PLAIN STUPIDITY? Posted on my message board in one of the social networks I am affiliated with was this note. The sender is a financial professional who also blogs about the many investment scams in the Philippines particularly the most recent PIPC-Michael Liew Forex Scam which is the subject of my continuing blog-expose. Before I give my “two-cents worth” of opinion on this, let us approach his query from the opposite side and re-hash the questions to try to get a clearer picture of the situation. How were these scammers able to do the same scam over and over again and in the same place at that? How were these con artists able to dupe more investors repeatedly when all that they did every time were to merely relocate to other offices and hire a new staff? In my own opinion, these con artists, armed with years of experience in plying their trade all over the globe, knew their target market here by heart. For one, they knew that they can easily pass off as legitimate enterprises within the local business communities here since the regulatory authorities are drowned in a culture of corruption and bribery is a way of life. For another, they knew damn well that the market is simply big and is still growing! Despite years of their plundering activities, they knew they have not yet tapped the full potential of the already established “have money to invest sector“of the Philippine society – the old rich. On top of this, they are quick to recognize that there is this emerging sector or the evolving “new rich” – successful newbies or business owners who are fast accumulating new found riches – and, there are also the OFW’s whose years of hard work abroad are now showcased via sizable savings ready to be tapped for investments. The marketing savvy of of these con artists are truly amazing. Yet, they have not changed their proven marketing approach at all through these years. The game plan is to undertake mass recruitment by way of offering easy-to-land high paying marketing jobs. They target people with connections to the well-heeled sector of the community to join their marketing staff. Business patronage is simply established via personal cognizance. A rich uncle or two, a well off neighbor, or long time business associate with excess money to invest, they all easily fall prey to a well prepared marketing presentation made by a relative,a trusted neighbor or a long time business associate. The norm of “throwing caution to the wind” when a new business is offered is easily forgotten. The personalized marketing approach swings the tide to their favor. And decision making is now influenced by local culture which dictates them not to offend the relative, the neighbor, or the business associate by turning down their offer. Often the personal assurances of the ‘related’ marketing staff become the sole factor for the decision to make the investments. This marketing approach was so successful in the past because there was a dearth for high profile jobs available for the ever growing workforce and so these con artists were able to grow their businesses without a hitch. However, with the entry of and proliferation of high paying call center jobs in the country in the last three years, recruitment slowed down for these con artists. Their businesses suffered a slack. Obligations to pay up clients were rising faster than the generation of new investments. Finally, rather than to wait for the scam to blowup in their faces, they flew the coop bringing with them the whole caboodle of money invested with them. Going back to my blogger friend’s posted question, the victims of the latest PIPC-Michael Liew Forex scam as well as the investors in the Franc-Swiss capers (the latest forex investment scams to hit the Philippine scene) can not be deemed stupid. They were new victims of an old scam. My friend may argue this with me and say “if this is not plain stupidity then what is?” Well, I believe, if you have been duped before and allowed yourself to be duped again then that is plain stupidity. However, more than 90% of the PIPC and Franc-Swiss scam victims were not the same investors conned by the fake forex brokers in the last decade that they have been active in the country. They were mostly relatively new investors. I would moderate my call and term this as simple ignorance. Again,my blogger friend may argue with me and say that this is plain stupidity since all the other scams that transpired in the last two decades have been well publicized in both print and broadcast media! Ahh, but here again is were the marketing savvy of the con artists shines out. 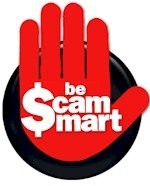 They knew that there is a high chance that their targeted new victims never heard or read about forex scams in the country or if they did, there is a greater chance that they may not recall them at all. It is quite hard to recall a news item of no interest to you at all at that time, and which happened one or two years ago. These new victims may have been too busy building up their riches to even pay attention to news items of no direct bearing to them at that point. And, if there were those who could recall, these are easily overturned by personal assurances by the marketing staff who happen to be their relatives or close associates. A perfect staging ground for a scam indeed! 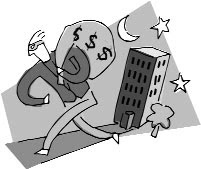 It is not plain stupidity that Filipino investors fell prey once more to investment scams. It is plain ignorance and total indifference to what is going on around them. To avoid recurrence of such incidents therefore, every one (investors, regulatory authorities and legislators alike) must be continually vigilant. 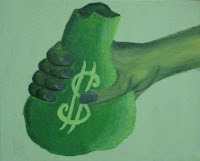 As for the greed, I should say investment decisions are often accompanied by a certain amount of greed. You are currently browsing the BIG DADDY blog archives for September, 2008.